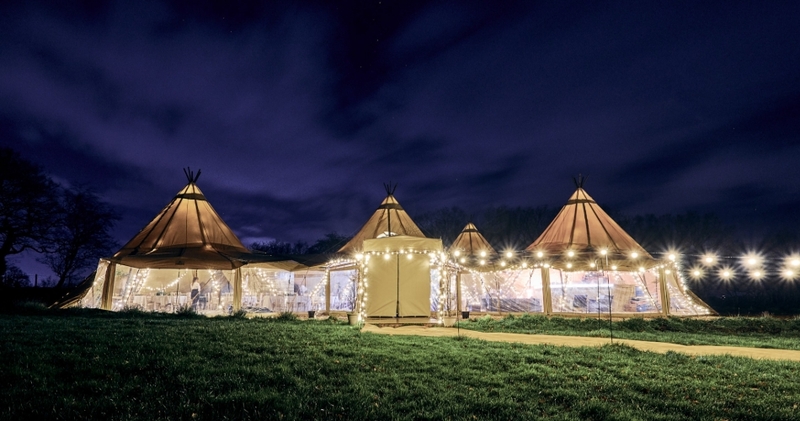 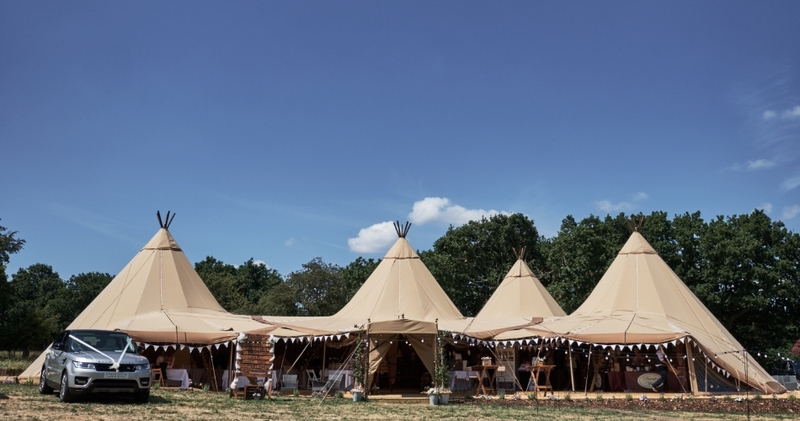 The four giant tipis located in the idyllic Lancashire countryside sit in an eight acre private site amongst mature oak trees. 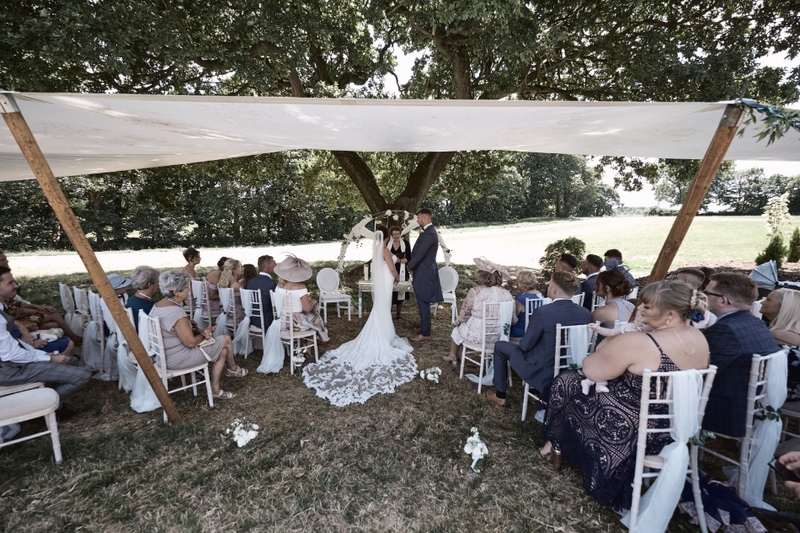 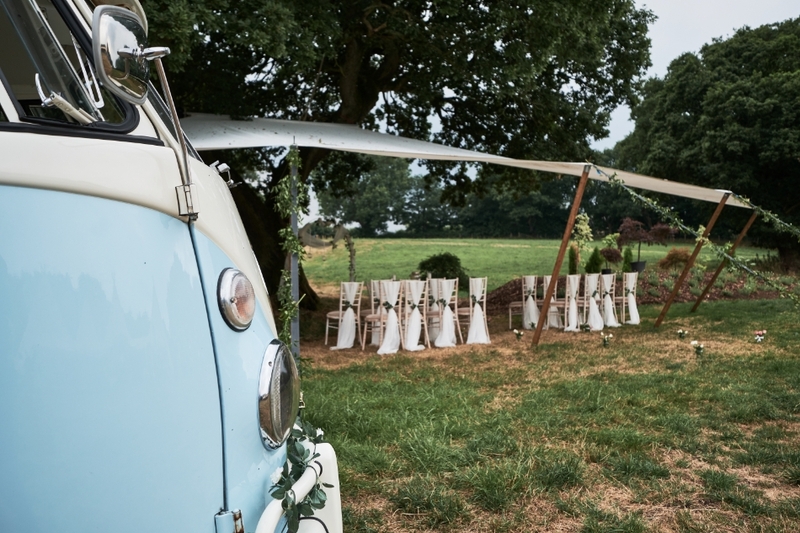 Riley Green Meadows has been turned into a truly spectacular space and is the perfect wedding venue with beautiful countryside surroundings and picturesque views hidden away in your very own private oasis. 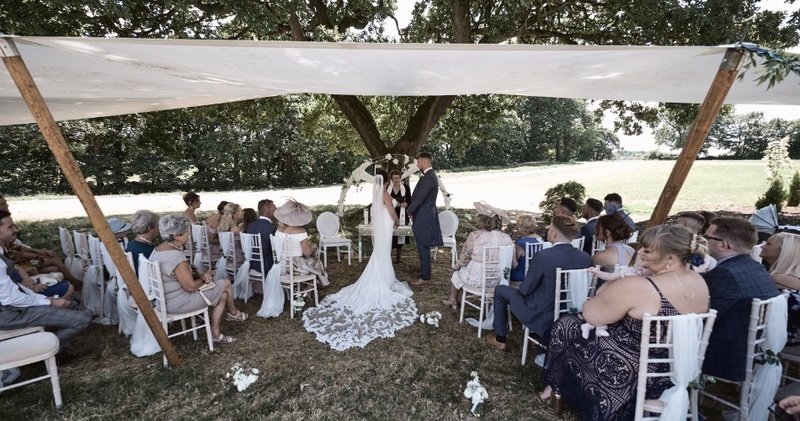 With the option to have your ceremony indoors or outdoors we can create the most unique and personalised ceremony area in exquisite surroundings. 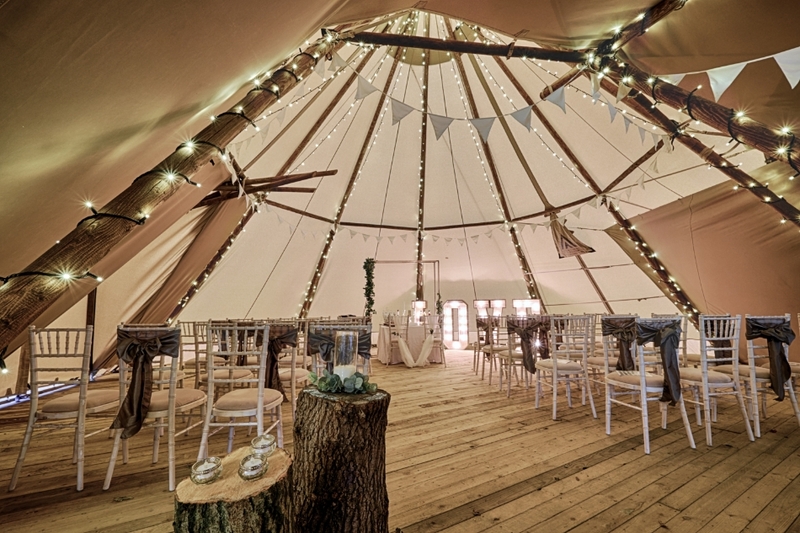 Whether you are looking for something large and lavish or prefer a more intimate wedding, we can create a fairy-tale atmosphere. 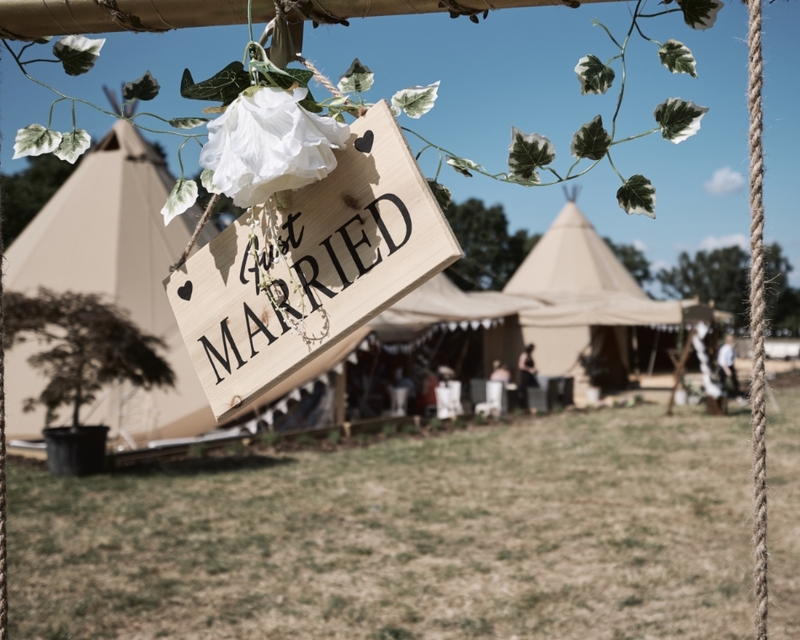 If you want something traditional or completely informal we will guide you in the right direction to plan the perfect day. 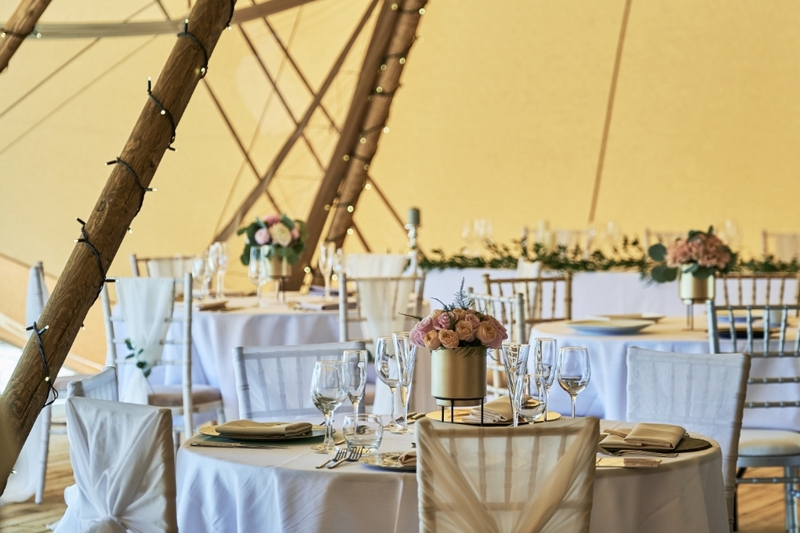 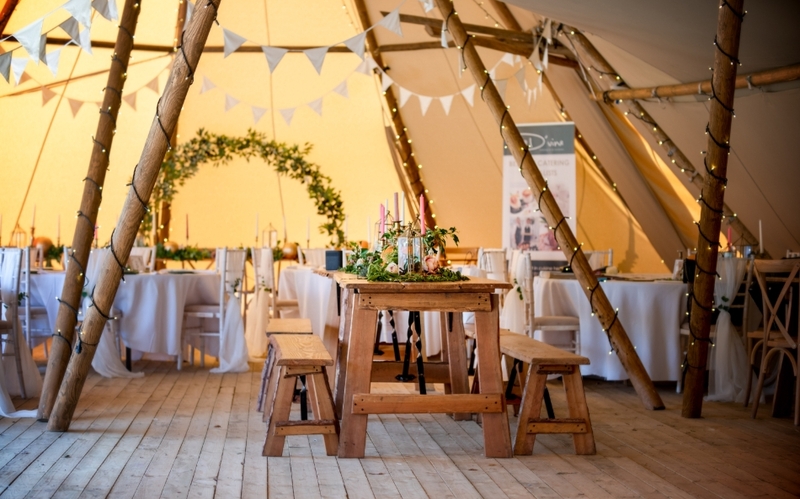 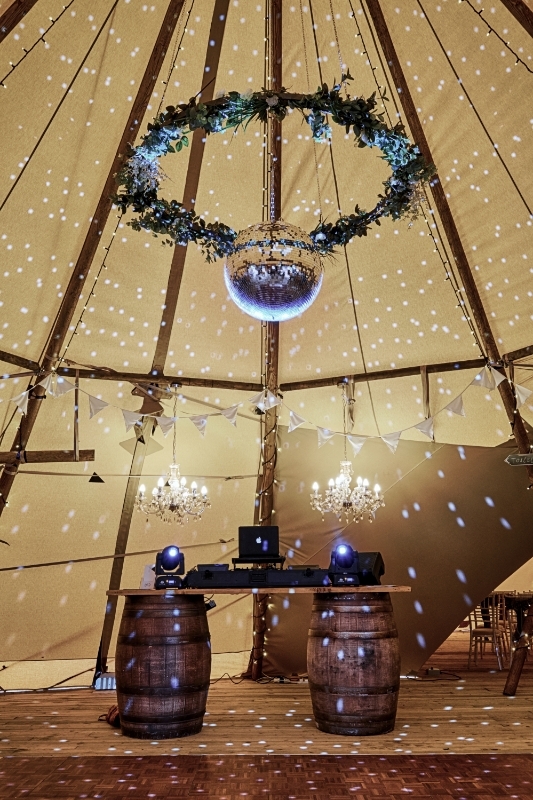 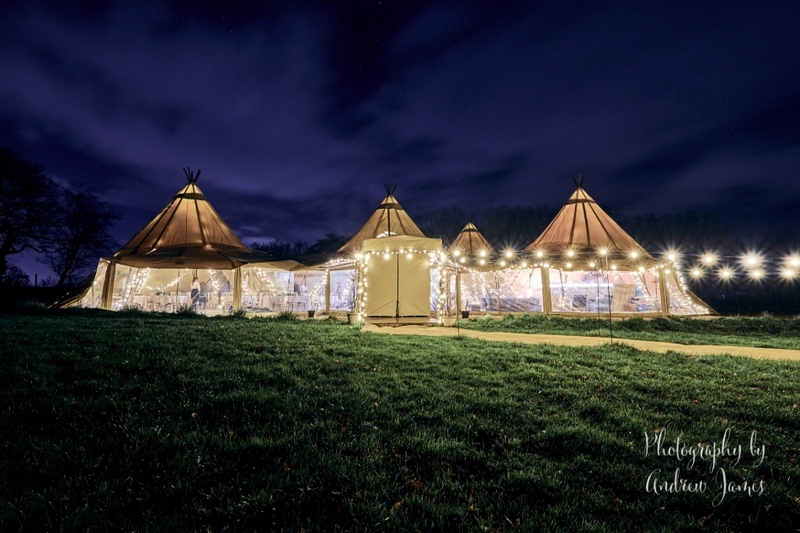 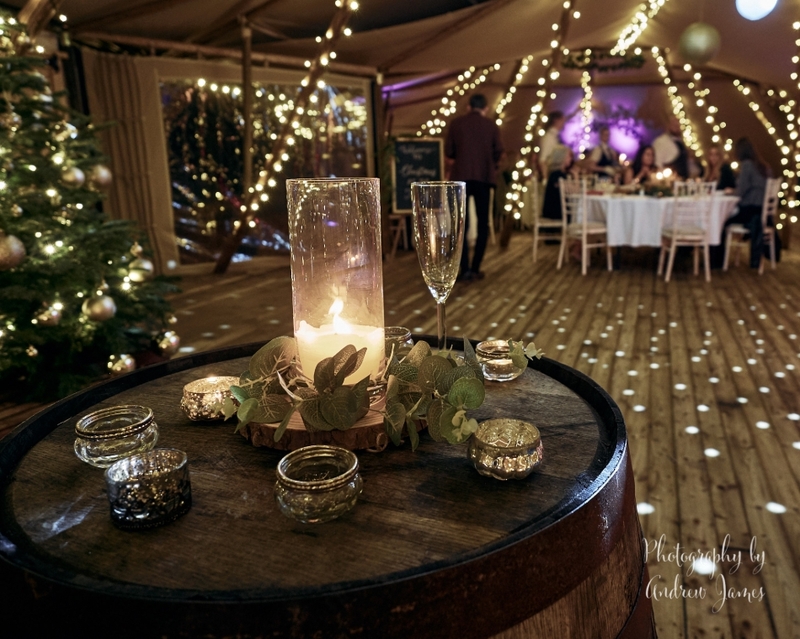 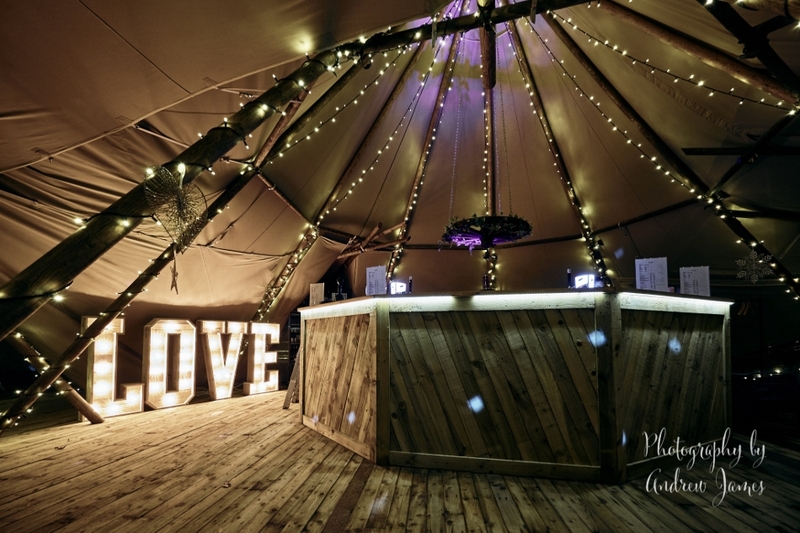 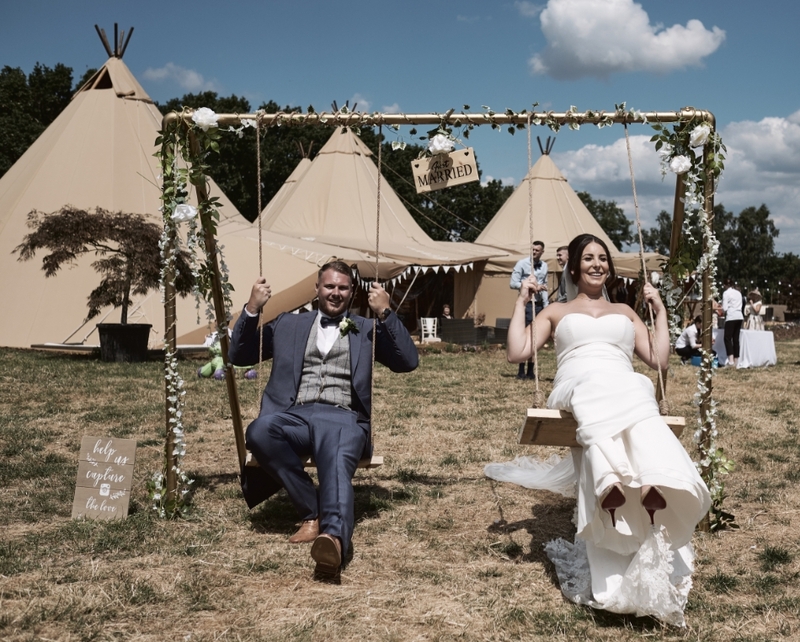 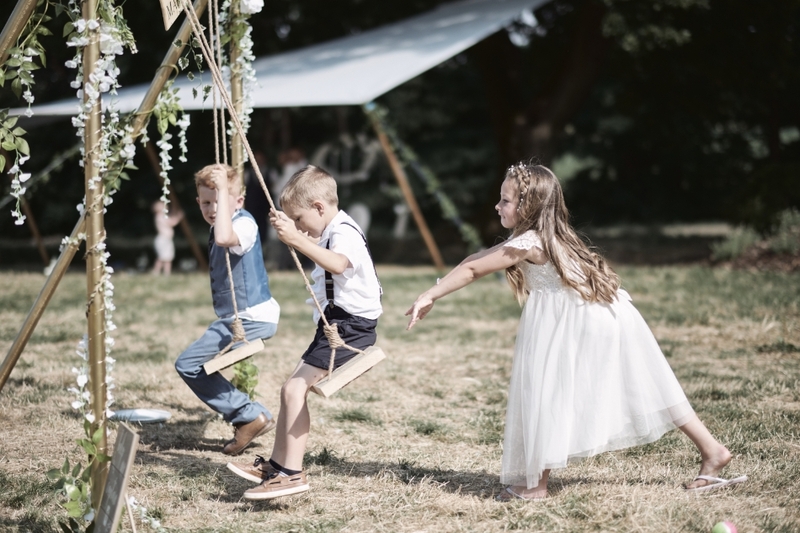 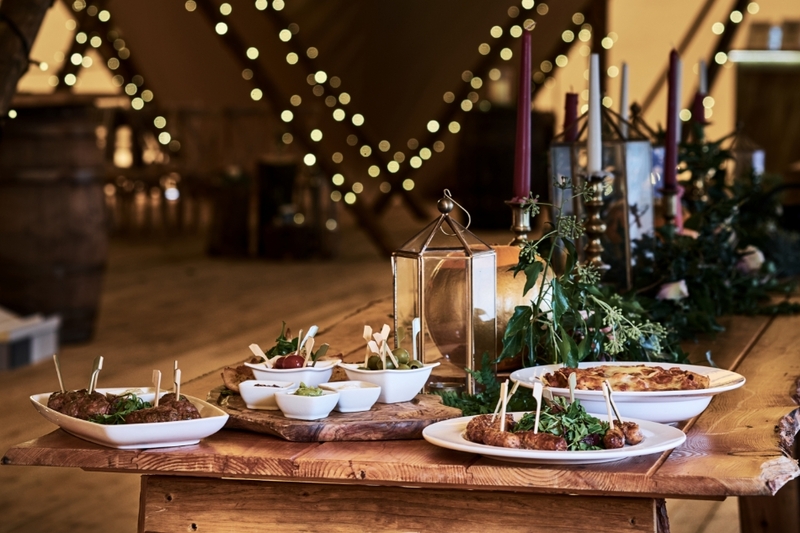 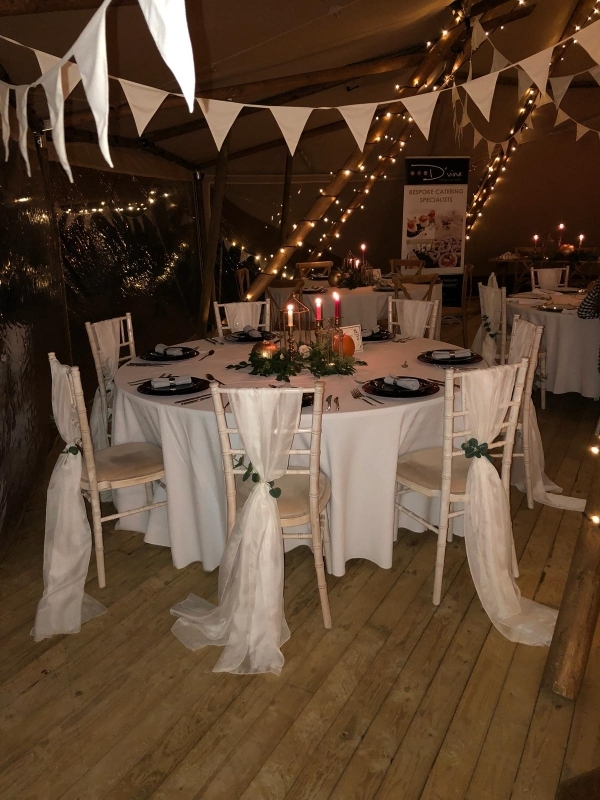 We specialise in bespoke weddings and events, our wedding and events team will be on hand to guide and assist you in planning a unique day in our tipis, tailored to your exact requirements, creating lasting memories for everyone, we can create the perfect day down to every tiny little detail. 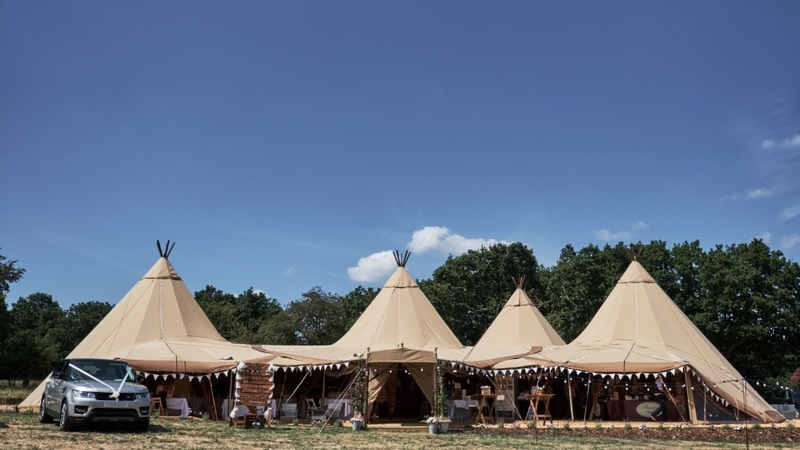 Appointments are available to come and view the Tipis and meet with our wedding and events team.